In ministry while in a denomination for 25 years, I was once one of the wounded, so I personally know the truth of this quote. When the Bishop manipulated the leadership council to remove my name from the membership rolls back in 2004, even though I had been shown by God what would happen nine months before the deed was done, I was still both hurt, bitter and angry. The truth is that when you focus on individuals and not the religiously political system that my enemies represented, bitterness and even outrage will naturally surface. I took out my rage on them in a book, where I changed names but I identified the denomination. I re-wrote the book a few years later, with a new title “Come Out of Her God’s People,” and without identifying the specific church. BT,.I no longer market the original. You see, once a critic stated that I sounded “bitter,” I realized that my literary articulation was being negatively affected by the outrage that I thought I had successfully suppressed. The truth is that I had allowed “looking back” at their scandals to tarnish my own soul. I have purposed in my heart to refuse to allow any person, place, thing or entity to shape, or even slightly influence the essence of who I am according to who God created me to be. .
Once the Lord revealed to me the deep truth as to why I was rejected by church leaders, I never again looked back at them or their SCANDALS. You see, there was and I expect continues to be much SCANDAL in this particular sect—so much so that I am reminded of the TV series that bears the same name. In this regard, as a former pastor among them, I once knew of loads of COVERED UP denominational scandals among the religious white- washed tombs of the persevering hypocrites. So watching the politicians cover-up of scandals on the TV series reminded me of the games religious folk play. At first, like everyone else, you look at the individual characters to make an assessment as to who is to blame, who is at fault. With the TV series, you wonder if it is the President or his monstrous Chief of Staff! Or is it his power-hungry First Lady, or perhaps the head of the secret agency called B613? In my “church situation,” , I first looked at the people involved in trying to bring me down in the church. There were three of them. And this is the institutional church. . Both politics and religion use the same tactics. Religious folk” kill off” other churchfolk because they believe they are protecting their territory within the IC. Therefore, it is understandable that both politics and religion have their part to play as Mystery Babylon. By any means necessary, whether a famous mega preacher or the choir director or trustee of a 50 member church, the goal is the same. To protect the IC, which like the republic is a non-human entity. A system. A religious system. The reality is that the problems and SCANDALS of the IC have been built into Her system for the last 17 centuries. so there is no one in the IC today who is really the originator of any of her present circumstances. Olivia Pope had an interesting revelation about the republic. As the re-election campaign manager for the sitting President, she came to realize that it really did not matter who wins. All three candidates committed murder. The democrat committed a premeditated murder of his wife’s lover, the independent killed her closet gay husband in a fit of rage and covered it up, and the incumbent President killed a dying woman who was about to release a damnable secret to the press! In other words, ALL THREE CANDIDATES ARE MURDERERS!!!!! Upon this realization, Olivia got yet another revelation. Working for the republic at any cost changes who you are because through passivity, you lose yourself. Engulfed in darkness, you can no longer stand in the sun. Herein lies what happens in the IC. Each individual loses him or herself trying to sustain Her. When a member or a pastor become a target of destruction in the denomination I was ordained in, the expression was “the Bishop or the Council killed him or killed her. When a church scandal has been covered up, the devil comes in and takes over. What are some other reasons why it is fruitless to continue to look back at HER to expose, criticize or blame? Well, If she were alive, I know of someone who can answer the question by her own personal experience. God warned those He led out of two decadent cities not to look back at what He was destroying. For to look back is a sign that you want to GO back. Let Lot’s wife warn YOU from her pillar of salt. 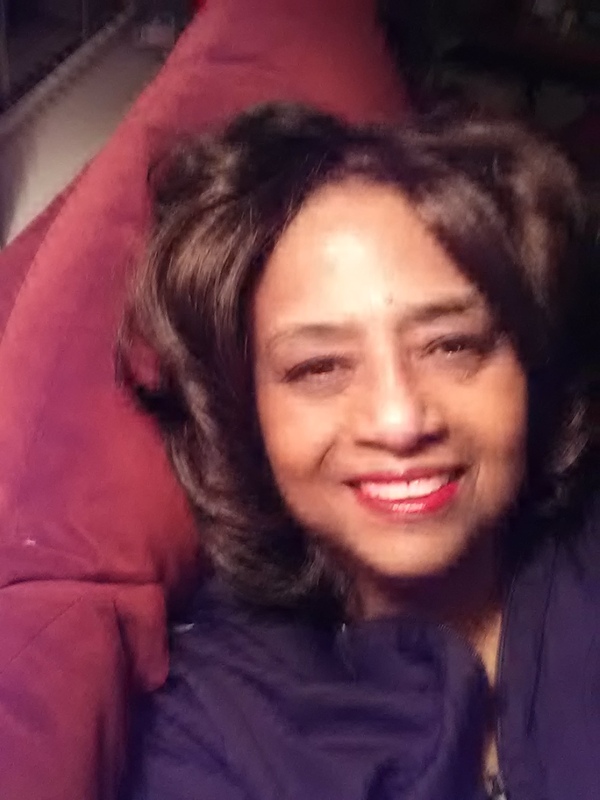 Allow me to share with you “on-line”, thirty (38) years as a licensed therapist in the state of NY and 30 years as an ordained servant of the Lord Jesus Christ! I am also an author of six end time, deliverance books. method of Pam Sheppard Ministries so that you can go forth and “set captives free. We commit ourselves to excellence in every service that we render. You will have hands on, personalized and individualized instruction, with scheduled chat sessions, emails and telephone calls. Some of you may even visit us at our home site. We want to develop associations and teams that will work together around the country and around the world. So give us a call at 518-477-5759. I receive a special revelation from the Lord every holiday season. I pray that the Holy Spirit will give you a rich revelation in the knowledge of Jesus Christ of Nazareth and the power of His name to set captives free. letter words is so astounding, that it can be rather “disconcerting” to say the least. What I have found is that religious demons are now dwelling in the human spirit of professing Christians, the place which is intended for the Holy Ghost. I have also learned that these demons must be cast out first, before the Holy Ghost will enter. no fruit that leads to eternal life. Here is the dilemma. If you believe that you are saved but you have had a false conversion, you will not be delivered. Deliverance is based upon truth. As Jesus said, when we know and accept the truth, the truth will MAKE us free. The acceptance of truth will cause fallen angels to walk away from you and cause demons to come out of their hiding place within your soul. 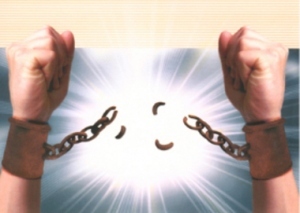 Captives will be set free and deliverance will be made EASY! "Leave the Church" Proclaims One Minister Who Can Stand Alone! To get the message of “what time it is to churchfolk” requires money. I pay to publish, so I don’t make any personal money off of my 6 books. Any one who cannot afford to pay $20 for a book need only let me know and you will be sent an e-book at no charge. What I use to spread the message of “come out of Her, God’s people,” is my own inheritance and my own savings. When I provide a counseling or training service, I set a fee.The fees I set are reported to IRS. In spite of them, I have never earned a profit. I do not charge for deliverance, healing, prayer or any of God’s graces. Nor do I ask anyone for donations.. Why not, you ask? Because those who give money control those who receive it. I will not put myself in a position to be controlled by ANYONE! I laughed to myself. She does not know that I don’t need anyone to either endorse or “sell me.” Nor will I try to justify myself to anyone. I perceive no benefit to me or my message in any attempt on my part to prove that I am reputable. It is a waste of time as no one can prove that they are not corrupt in times such as these. My word to you is this. If you seek me for counseling, training or ministry, you will have to find out about me in your own prayer closet. What I am willing to share about myself is something that I can prove.Here is what I can prove. I owe nothing to NOBODY and I expect NOTHING from NOBODY! You see, I am free to do all things and free to do nothing. Only in the last seven years have I been this free. I was restrained for 25 years from offending those who paid my secular salary and for 25 years, I had to please the bishops under whom I serve as an ordained minister.. Those days are over for the rest of my life. Like the Lord Jesus, I too can declare that neither man nor the devil has a place in me. Besides a secular career in state govt where I earned a great pension and excellent health benefits, beside being in private practice as a therapist once I retired at the age of 53 in 1997, I have also been a minister of the gospel of Jesus Christ for 30 years. Since I was gainfully employed in the world while simultaneously pastoring, none of my personal income has ever been derived or accumulated from Christian ministry. When I received a salary from any of 3 different churches that I pastored, I gave it back to them double-fold. I even founded my own church in 1996, which I closed in 2009. Today, I do not attend church, at all. I personally believe that church is a dangerous place to be, particularly for the sincere followers of Jesus Christ of Nazareth–the elect of God. I need to make it plain that only the elect of God is in real danger, and not those who simply attend church because they believe that it is the right thing to do. The “un-chosen” in church are not Satan’s target but only those who belong to Jesus Christ. from “whether or not there are good churches or bad churches.” Certainly, there are both, and that has been the case for centuries. In our time, there are some wonderful, good people and excellent programs operating in plenty of churches. When I was led out of the denomination I served in 2004, I did not know my departure from the organized church system was completely over. The Lord told me to come out, and I obeyed, believing that He planned to send me to a different church affiliation. In fact, I waited for 3 years until the Lord spoke to me. In this regard, I had a handful of supernatural experiences AFTER I was led out of the organized church. Powerful and amazing, to say the least. Visions, dreams and audible voices such as I have experienced since 2007 come from either God or the devil. There is no in between. In fact, my soul is not imaginative enough to have conceived what I have heard in the spirit. Now if I am wrong,—-if I heard from the devil— I will STILL go to heaven because my born again experience had nothing at all to do with the organized church. I was not saved in church.Church added nothing to my salvation but error and deception. So if I am wrong, I have nothing to lose.If I am mistaken, God knows the intent of my heart. I don’t have any axes to grind. There is no bitterness in my heart against churchfolk or the system. I can certainly admit to errors in discernment and I will publicly apologize if I am proven to be in error. However, if I am right, and you continue to “go to church,” then you, dear reader, HAVE A LOT TO LOSE. that I had to “cut loose”. For me there was only one place: the church. I was in church constantly as a pastor, a member and a visitor. At times, I was in church as many as 6 days a week, hours at a time. Furthermore, I frequently visited other churches, several times a month. I also preached and taught in prison for almost 10 years. Among the things or “works” that I no longer do is my first love,— developing sermons and preaching. I practiced healing, deliverance ministry, weeping and wailing in intercession, aka,travailing, and speaking in tongues. I also moved in the “slain in the spirit” ministry, where people fell to the floor at the touch of my hand or at times, when I simply waved my hand, some fell slain. I saw into the future regularly,experiencing supernatural experiences that I believed at the time were manifestations of each of the 9 gifts of the Holy Ghost. things–would be exposed as filled with darkness and deception. just hit my own thoughts, I immediately realized that the Holy Ghost was using her to speak to me. Interestingly enough, as I counsel others, the Holy Ghost frequently uses contents of the session to have a ONE on one session with me! held on to ONE thing that could not be removed. have ceased from my own works and I rest in the Lord. However, how does one arrive at such a place within his or her spiritual walk? the pain was minimized, to say the least! experience the gain of a new revelation. Fruit simply grows without much effort. I have come to learn that salvation is truly my pearl of great price. The pain of selling all to guard and protect my born again spirit has been my great gain. As I pointed out in Part 1, when I was led out of a denomination as an active pastor, I expected to be sent to another church affiliation. So I waited. I waited 3 years when I heard a voice say to me that “He had already judged the church and that the Holy Ghost war not there any longer. In fact, I was also informed that the Holy Ghost had left the church BEFORE I ARRIVED IN 1979! That was another major shock. I did not want to believe that who I had heard from was the Lord. So I began with the premise that I had heard from the devil. The choice was easy. Either God or the devil.It was definitely not my own soul who spoke to me.You see, I had become addicted to church and I did not want to go through a sudden, un-planned detox. I had also become habituated to preaching and pastoring a congregation. so a cold turkey withdrawal from the organized church system was too much, even for a vivid imagination like mine to conceive. Ashtar? Who is Ashtar? He sounded vaguely familiar to me from the old testament. There was a god, a fallen angel I remembered named Ashtaroth. So I began to google and to google some more and I found the being who calls himself “Ashtar” to new age occultists. I learned that Ashtar reports to yet another fallen angel who is known as Jesus Sananda Immanuel. I continued to study and I discovered that Sananda reports to a being called Maitreya. Maitreya’s rhetoric as channeled through various psychic mediums read a lot like the Anti-Christ. Satan began to progressively establish a seat within church divisions, sects and organization since the organization of the church in the third century.If you are born again and you still attend church, the Holy Ghost will speak to you. He may use a written blog or a book, a dream, whatever. He may use hypocrites and haters to run you out. If you are in the church and you have had a false conversion, if you are one of the elect, the enemy is waving a license to keep you in God’s face. The fake Jesus stands on his rights because YOU invited him to come into you when you repeated a sinner’s prayer, “accepted” Jesus and invited him into your heart. Sananda is the one you are worshiping. He did not lie to his occult followers when he told them that he is in control of the organized Christian Church. I heard from God. That is enough to keep me out of the organized church. Perhaps my testimony is not enough for YOU. That is okay. I am assured if you belong to Jesus Christ of Nazareth, the Holy Spirit will speak to you and lead you out. You may have to stand alone as I stand. Believe me, Beloved. It is not so bad on my side or from my viewpoint. If I am wrong, He will correct me. This is my faith. I stand on it. Should You Leave Church? How Will You know? My personal testimony of how I came to leave the church is in the first chapters of “Come Out of Her, God’s People”. www.lulu.com/content/10430823 and www.lulu.com/content/7285131. In a nutshell, the Holy Spirit will inform you when it is time for you to leave church. In fact, if it were not for Him, I would still be there. When the Holy Spirit led me out of church, I was pastoring a work that I had founded myself. So it had never crossed my mind to completely leave the church. For a minister of the gospel to leave church after 25 years of faithful service sounded like a preposterous idea to me–absolutely inconceivable. I was settled and comfortable in the denomination, in spite of the fact that I had never really been embraced with open arms. I had the best of both worlds: spiritual covering from a well-respected denomination that left me to my own devices. So I had almost complete independence to bring forth pentecostal, word of faith teachings in a denominational setting. Well, I did not have long to wait. I was at the Y, doing my afternoon lap swim when my pregnant daughter came waddling in and screaming “they are after you, Ma! The denomination is investigating you.” I got out of the pool, sat on its side and listened to my daughter’s emotional report. She had run into the proverbial grapevine. Yet this was not gossip. It was true. The dream was confirmed in less than a week. The denomination was about to PUT ME OUT. It took 9 months. I had the dream in September 2003 and the denomination removed my name from its rolls in June 2004.It was June 25th, 2004. I had a dream that morning. I saw my head under the chopping block. I was beheaded. It came to me that I have the same ministry as John the Baptist: Preach repentance and prepare the way for the Lords SECOND coming. Anyway, I still had my church that I had founded, The denomination had no authority or power to close it. So I continued leading my church, expecting the Lord to send me to another church affiliation. Various sects and word of faith churches made some offers. However, it was quite clear to me that all they wanted was my money and my attendance at their various meetings and conferences to obtain MORE money through conference fees and donations taxed my church. We were small and poor. I could not rob my own congregation to send their hard-earned dollars to an aloof, uncaring mega preacher, just to pay to sit on the front row of some conference. So I waited 3 years. This time my sign was more powerful than a dream. I was wide awake. I heard a voice in my head ask me this question, “Pam. would you put curtains up at the windows of a condemned building?” I looked around to see if someone was there, but I was alone. I answered in my head “no.’ The voice continued.He talked for what seemed a long time. Then He said “Pam. You are planning to travel around the world to conduct deliverance training seminars in any church that will open its doors to you.” I answered, “Yes. !” By that time, I had been to a church in Lawrenceville Ga and one in Bermuda. There are those who are feverishly trying to save the institutional house called “church,” through evangelistic programs and revivals, church reformation attempts, mass media marketing campaigns, and ecumenical collaborations and compromises. These are those who believe that emphasis should be placed on saving the institution of the organized church. However, I believe the Lord’s declaration of the prevailing power of the church was not referring to her as an institution, but as a spiritual body of believers who, by not denying His name and keeping the faith, would remain His. The question is not whether or not the burning house SHOULD be saved. Well, I believe it has. For three reasons. First of all, too many preachers, even the sincere ones, have made ministry a career rather than a calling. They can’t repent because their pocketbooks are tied to church donations. Unlike TD Jakes, Juanita Bynum, Joyce Meyer and Joel Osteen, they did not make themselves independently wealthy from the donations of churchfolk who gave them their start in the first place, a foundation they usurped and became best selling authors. The livelihood of most full time pastors is dependent upon continuing to do whatever they can to pay their bills and provide food on their tables and care for their families with something left for retirement. Most pastors can’t come out of the church simply because they would experience financial ruin in a failing economy. Secondly, repentance would necessitate a fundamental change in how the gospel is preached. Preachers are proud folk. They would rather confess to some kind of sin of the flesh before admitting that preaching a decisional, come to the altar and accept Jesus, repeat a sinner’s prayer gospel has caused people to invite the fake Jesus into their hearts. Thirdly, I suspect pulpits have already been taken over by religious demons and devils. The grip of these unseen forces has occurred because God Himself has sent forth a spirit of strong delusion, causing churchfolk to believe a lie. Preachers, even good, sincere, righteous men and women are already under the power of seducing spirits whose doctrines they continue to preach. So it is time to come out. If I am wrong, you can go back. I suggest that you simply ask the Lord in prayer, “Say Lord, is this woman, Pam Sheppard correct? Are the days of the organized church “done?” Is it a dangerous place? Should I leave? I can tell you that if you ask Him sincerely and you are willing to obey His answer to you, then I can tell you right now that He is going to show you Himself, that you need to come out for your own safety. I explain why in detail in “Come Out of Her, God;s People.” To read further, is up to you. The meaning of a hypocrite is one who does not love you with the pure love of the Lord Jesus Christ. They are not saved. Why? Because we know that we have passed from death to life because WE LOVE THE BRETHREN! The haters in your life may come and go. Sometimes they remain, and you become the object of their eternally seething hatred. My friend and Christian mentor, Pam Sheppard, wrote an eye-opening book called “Come Out of Her, God’s People. In an astounding personal memoire, Pam explains how she was a root in dry ground as an ordained minister amongst hypocrites.In fact, Pam recollects about high-ranking hypocrites she battled with, when she was in ministry for 25 years in a well-known denomination. . Her surprising revelations inspired me to pen this article. The hypocrite in church is just as lethal as any hater anywhere. Haters were around since the Garden of Eden Who was Cain, but a hater who killed his own brother out of jealousy. Who was Saul, but a hater who spent his time trying to kill David who would be King. Who were Joseph’s brothers, but a family of haters, who didn’t want to see Joseph do better than them. Who was the prodigal son’s brother, but a hater who got angry because his long-lost brother was favored with a feast. And look at our precious Lord, Jesus Christ of Nazareth and how a mob of Jewish haters roared ” crucify him “. Church is often a hotbed of opportunity for a hypocrite.. A hypocrite in church can deftly hide behind a bible and a prayer. It’s easy for the hater in church, haters in the pews, usually have a long shelf life. Haters thrive in church because too many believers, have a unscriptural view of what it means to be a peace maker. Therefore ” the hater ” has a field day in church, and their covert camouflaged combativeness, and undercover hateful behaviors go unchecked. 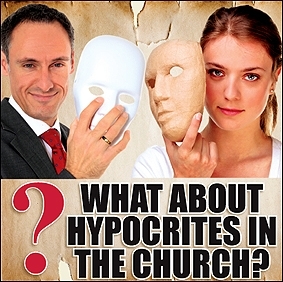 When you were a newbie in church, it took you a while to recognize ” the hypocrites “. You thought your mind was playing tricks on you. You wondered how it could be possible that Sister Shirley or Brother Mark could have spread the rumor about you having a crush on the choir director’s husband. You wondered who told the prayer minister, that they thought they saw you coming out of a bar. Could it really have been smiling church Sister Sarah, who was always calling you to talk about the Lord? What’s wrong with the church hypocrite? Sadly, I must report that the church hypocrite is unwashed and not saved. The church hypocrite , who should be pleased as punch because you’ve been delivered, is not pleased. The church hypocrite hates hearing your testimony. The church hater doesn’t even want to see you get a crust of bread. And don’t let the Lord call you out from among them. If you are in business for yourself,as I am— the hypocrites will try to cause you to go bankrupt. As it was in the evil days of Noah so it is now in the organized church. If you need deliverance from demonic affliction, church abuse or any other burdens, call Sheppard’s Counseling now at (518)477-5759. Pam Sheppard and her team of supervised deliverance minister’s are waiting to serve you. I am a part of Pam’s team. Pam has been ministry for 30 years and her deliverance counseling expertise is second to none. If you would like to read more , an article written by Pam posted at Pam Sheppard’s Publishing is an eye-opener. You can read further about Pam’s ministry experience dealing with haters and hypocrites in high ranks. Hypocrites hating, are a reality in church, no matter your station. Go here to read about Pam’s battles with a regional director when she was the pastor of her own church. Seducing spirit? What’s that? The church doesn’t even have an ounce of knowledge , when it comes to understanding demonic seduction by religious demons. Religious demons are in full control of the organized church. These seducing spirits have imbedded themselves into the very walls and pulpits of the organized church. Seducing spirits live in the organized church, inside their human hosts, and they are quite comfortable there. No church is exempt! You would do a lot better by buying the book, and getting that exact, first hand knowledge from the professor yourself. I’m inclined to call Pam Sheppard a professor, because of her advanced level understanding of the deep wiles and intricate demonic workings of the devil, seducing spirits, and the religious demon. But her knowledge doesn’t stop there. Pam has written five other books of the same masters level. Looking back, it is no surprise that I had a false conversion. The cross of Christ, I never heard of it. No, not in church. I never heard a sermon on the message of the cross, until my first Easter sunday in a Word of Faith church. I found out that the message I did hear, was a recycled message that anybody could find online. The message was staged, and the pastor jumped down from the pulpit with a hop and stylish skip. He had, what Pam Sheppard calls a gimmick. The hop, the stylish skip, and the jumping from the pulpit, with a flourish might as well have been a stage show. The cross of Christ message the pastor gave never touched me. I sat there admiring his alligator shoes, and fancy pin stripe suit. Why? Because I was not saved then. I thought I got saved while listening to a Benny Hinn broadcast. Benny Hinn called my name, he said ” You you are saved”. My Mom looked at me with glee, and led me into the sinners prayer. I felt a little sorry for sins, I felt good and I wondered what God would now give or do for me. The cross of Christ, the resurrection power, Godly sorrow and repentance were not found in me. It was a set-up from the devil. I had a false conversion. I had what Pam Sheppard has coined a ” counterfeit birth “. What happened when I finally got saved for real? I did not get saved in a church. I got saved in my own bedroom. My son’s father died after being in a coma for about three days. During the period of his ill-health, and after years of abuse from him he was attending church. This man, who had been a problem to me for many years began apologizing left and right. At the time, I was what the church falsely labels backslidden. Pam Sheppard has taught us this truth, yet some refuse to receive it. My friends, there is no such thing as a backslidden Christian, for as the Apostle Paul says, in the Book of Hebrews 6:4,5,6 it is impossible. It is impossible for those who were once enlightened, and have tasted the heavenly gift to fall away and be renewed again. If they shall fall away, to renew themselves again unto repentance; seeing they crucify to themselves the Son of God AFRESH, and put him to an open shame. So then, when you are truly saved there is no backsliding. If there is backsliding ,what we are saying is the cross of Christ, and message of the cross, did not take the first time. What kind of mess is that? Is Christ’s resurrection power so weak, that the knowledge of it fails the first time, but works if we hear it a few more times? Anyway, there I was in sin and never saved from the get go’. Don’t get me wrong, we do grow in Christ, but if we are truly saved we do not return to total darkness and start drinking like a fish and fornicating like a champ. If we do, as I did, we were never saved in the first place. Back to the story of how I got truly saved. My son was deathly sick and hospitalized. I realized that I was bitter towards him. I felt bad about that and begun to pray. I kept seeing a vision in front of me of the cross of Christ, I kept seeing Jesus on the cross and at first, did not know why. As the days passed, I understood that I had never know Jesus at all. All I knew was a God who was going to give me ” stuff “. All I knew was a Jesus who was rich who would one day make me rich. Thanks to the Word of Faith church I had met ” The Fake Jesus ” who Pam exposes in one of book’s entitled the same. I had pledged and made an unholy alliance with Satan. My story continues. As I shared my son’s father Brett was ill and I kept seeing the cross of Christ, and Jesus on the cross before me in vision. I had been praying about my own bitterness and reluctance to visit him. I called someone who reminded me of what Jesus had said on that cross. Jesus said, ” forgive them father, they know not what they do”. The word of Christ prompted me to visit Brett Sr. It was the day he had slipped into a coma. I went to his bedside. Kissed his hand and sung his favorite church songs. Kissed him on the forehead and told him I forgave him, and forgave myself. He passed away that night. I was saved in my bedroom as the days progressed. I realized what a hypocrite I had been. I was never saved. How could I have been. I had returned to drugs, fornication and the world. The message of the cross never made a dent in me, I never heard it. When I did hear it once it was from an unsaved man posing as a pastor. I had looked death in the face because my son’s father died. I knew that if I died then, I would have gone into hell. But it was not hell itself that scared me. What frightened me, was that I would be totally cut off from God. I had fancied myself a spiritual person, a person who loved God and wrote Christian poetry. Those moments that I sat in my room, I knew without a shadow of a doubt that I was neither spiritual or saved. My so-called love for God was not there. My life in church flashed before me. I had been a works salvation. A works salvation is a ” counterfeit birth “. I was churched, as Pam would say. I had been on church boards and committees and such, but I was unsaved. I had written fancy Christian poetry, dripping with fleshy sentiment. When trouble came, I faltered from a crumbling foundation. My faith was never built on the rock. I was a wayside ” counterfeit birth”. My bitterness flashed before me. I harbored bitterness against those who I thought had wronged me. I suffered clinical depression, the open door of unforgiveness had ushered in a demonic spirit. How on earth is one saved and still having bouts of depression? Where is the power of the cross in that? I was a liar and a fake, the God I thought I loved was just then drawing me to him in my bedroom. I cried, and I cried and I repented in those tears. As I lay in my bed the Lord bought me to Isaiah 53. Who has believed our report? And to whom has the arm of the Lord been revealed? I had never believed the report that Jesus Christ of Nazareth died on the cross, that gruesome death but rose in the flesh. I never understood myself to be a wretched sinner. I had never understood, that this man Jesus, who was man and God in the flesh had to die in order for me to be saved. I never knew that the sacrifice of his very life was needed to cleanse. What price can you put on a life? What price can you put on the life of the Son of God. As I read through Isaiah 53 and learned of the suffering servant, my joy became full. I knew why the Lord drew me to him by showing me a constant vision of Jesus on the cross. 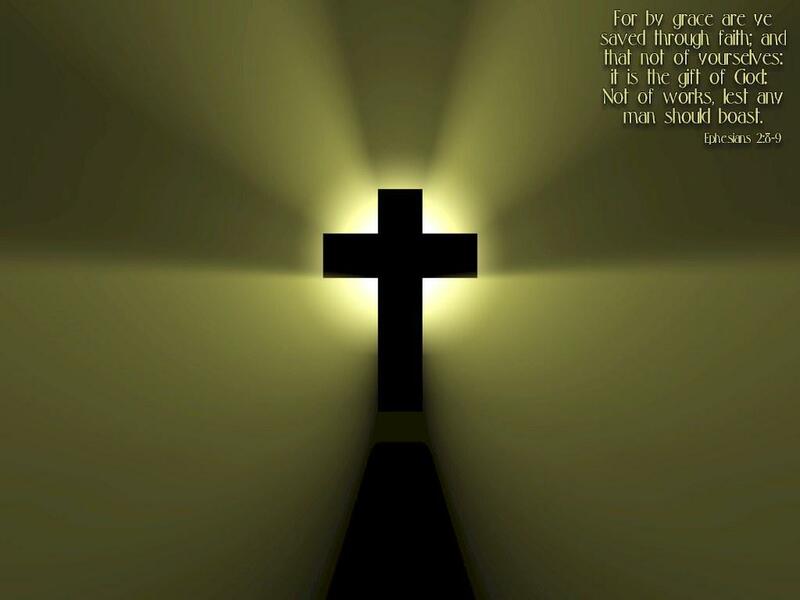 The work that was done on the cross proved the complete power of God which no devil can match. Christ was dead but now alive in the flesh. The disciples had seen and believed this 2000 years ago, and I was seeing and believing it for the first time. And it was the same power that lifted Jesus from the cross that was now lifting me up. I believed the report that day. I was grateful for what Christ had done on the cross, for me and for those who would believe on him. I was grateful for his mercy. I was happy and besides myself with joy. God had drawn me. His love was clear to me. My friends, the agony of that cross and the suffering it took to save me was clear. I loved the Lord God for his eternal kindness and saving grace. I deserved nothing, but God through Christ had given me all I will ever need. So then, in my bedroom, after years of church, I was finally saved. I receive and trust every word that Pamela Sheppard teaches. For she speaks truth, the organized church is a conglomerate of condemned buildings. If a prophet of God is a bone of contention to you, and you find it difficult to handle what the Lord has called him or her out to do, I have to ask you if it’s possible, that perhaps you can’t handle the truth. Sometimes pridefulness prompts a person to prefer a mousey type, who timidly presents truth. This should not be the case, for the Lord God calls us to boldness. Boldness and forthrightness, are marks of a true prophet. Even so, the prophets of the Bible were neither mousey or timid. The prophets of the Bible were not popular, or well liked anyway. Why? One reason is because some find it hard to handle God’s truths .Here is a quote from Watchman Nee. Should the child of God desire freedom, his folly must be removed. In other words, he must know truth. He needs to appreciate the real nature of affairs. Satanic lies bind, but God’s truth unshackles. Naturally the knowledge of God is going to be costly, for it will shatter the vain glory one has assumed due to past experiences. He looks upon his self as far more advanced than others, as being spiritual and infallible. How hard hit he will be if he confesses the possibility of his being invaded. Unless God’s child sincerely adheres to all the truth of God, it becomes very rough for him to accept this kind of painful and humiliating truth. One encounters no difficulty in accepting that truth which is agreeable; but it is not easy at all to take in truth which blasts one’s ego…the acceptance of truth is the first step to salvation. There is another reason to consider why the Lord Jesus Christ chose me to play such a controversial role in the confrontation of hypocrisy and false doctrine that abounds in the organized church in this day and time. I believe that my soul was prepared for the part by the way I came into the world. An only child, I learned early on how to stand alone. Furthermore, I believe that independence, boldness, and a love for truth was implanted in my soul in my mother’s womb and nurtured by my early childhood circumstances and environment. ….. I was an enigma to most adults. Literate and articulate when I was about 3 years old, my Barbadian grandmother, the late Irene Ford, often found it necessary to explain my words and my behavior to people.